Practitioners often mistake the “program access” standard for only activities requiring advance registration, structured schedules and staffed by personnel or volunteers. However, “program access” really extends to the entire realm of opportunities, experiences and benefits. 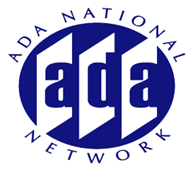 How does the program access standard in Title II of the Americans with Disabilities Act and Section 504 of the Rehabilitation Act apply to parks, recreation and places of tourism? In addition what does the provision for readily accessible and usable goods and services mean for places of public accommodation (Title III)? This session brings together two of the foremost national experts on program access, John Wodatch, former Disability Section Chief at the Department of Justice, and Ray Bloomer, Accessibility Specialist with the National Park Service, and Director of Education at the National Center on Accessibility. From national parks to river boat cruises, museums to fitness centers, wildlife refuges to performing arts theaters what should every service provider in recreation and tourism know about program access for inclusion of people with disabilities? Join John and Ray for a candid discussion of the program access standard. Supplemental Material Link: Fact Sheet “Program Access: Beyond Bricks and Mortar"